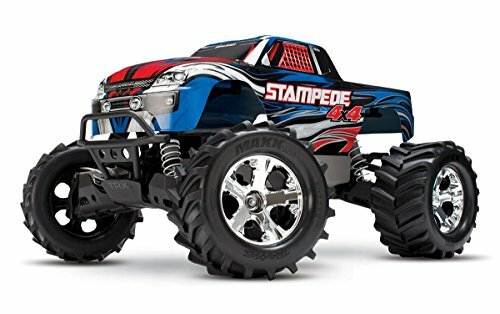 Picking a winner has never been easier as there were so many categories where the Traxxas Stampede Monster Truck has simply outclassed the opposition. Considering how much more affordable it is compared to the runner-up, the Slash 4×4 Short Course Truck, it’s almost a no-brainer. This RC truck is so fine-tuned already that the extra cost for the advanced TSM configuration is just not worth another look. When it comes to kids, anything with wheels is interesting. Toys have evolved technologically so much that the new electric trucks available are suitable for all ages. 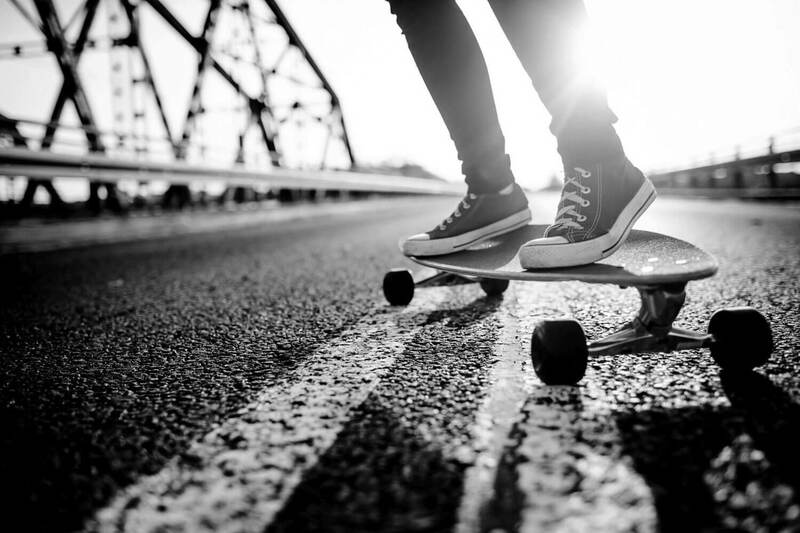 The slick designs, amazing control, and high speeds are appealing even to adults, so these products can be a great gift at any stage in life. Short of flying drones, it doesn’t get much better than spending quality time with your kid while racing mini off-road beasts that can reach impressive speeds. With all the advanced sound systems that mimic actual life-sized trucks, the experience feels quite real. There is just so much that goes into electric car toys these days that makes them worth a try. In the following paragraphs, we will take a look at three of the best electric remote control trucks on the market. 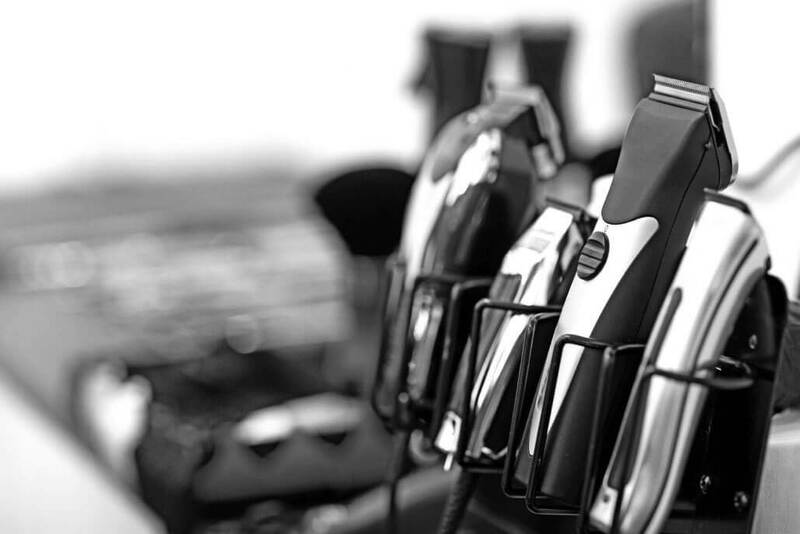 We will compare features and capabilities and provide a fair assessment as well as a recommendation as to which toy would be worth the purchase in terms of performance and entertainment value. First on the list is the Slash 4×4 with Stability Management from Traxxas, a mean machine weighing in at just 5 pounds but with the power to blow past anything in its size. 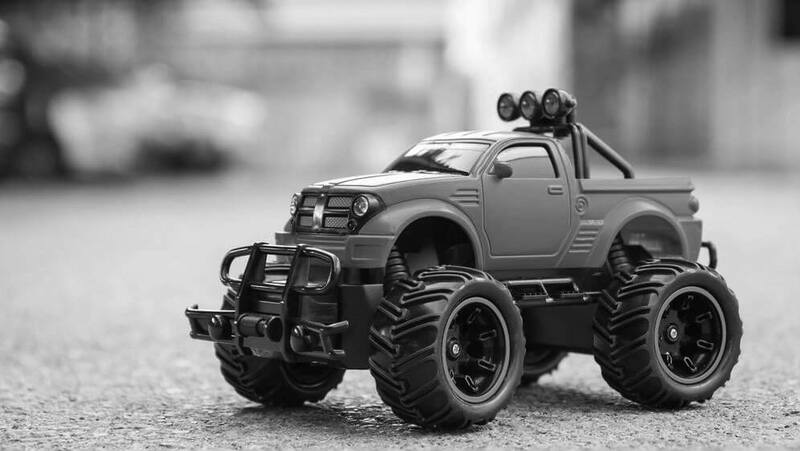 This RC truck can reach speeds of up to 60 mph with the proper gearing and terrain tuning. But, the stock settings it will top out at 35 mph. Still, it’s by far one of the fastest of its kind. The Traxxas Stability Management or TSM is a great feature that allows you to control the 4×4 Slash with incredible accuracy over the harshest terrains imaginable. You can turn the TSM on and off as desired. 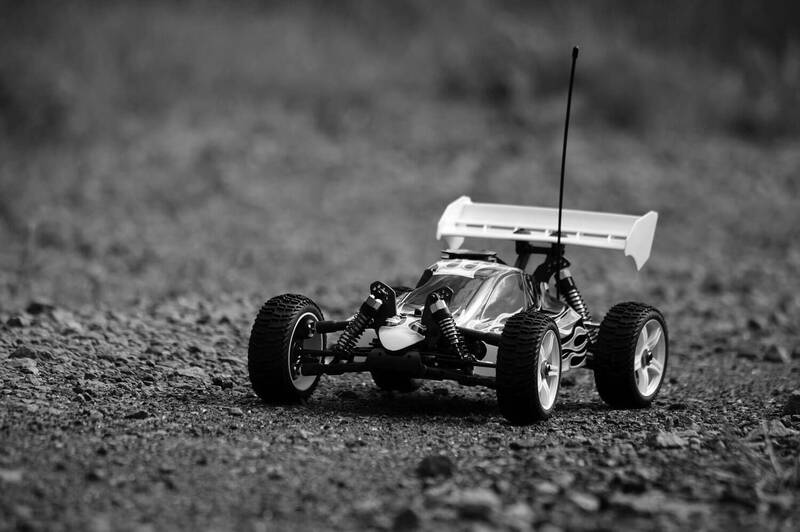 What’s more, when using it, you can fine tune your RC truck for smooth surfaces, dirt, snow and rocky terrain to achieve the maximum level of control. This way, you make sure it will never slide or topple over at high speeds. The rechargeable battery and charger are included so your truck is always ready for a rough ride. Kids will get a kick out of this for sure and, although no advanced skills are required to drive it, some adult guidance might come in handy at first, especially when playing with the TSM feature. This truck goes really fast and although it is very durable you wouldn’t want to let a child with no reflexes drive it into all the walls and trees possible on the first day. 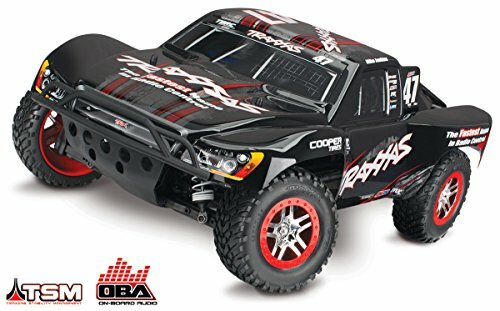 Redcat offers an RC truck that really rivals the speed and control of the Slash from Traxxas. The speed of 30 mph is easy enough to handle, although the manufacturer recommends that it should be used by kids over the age of at least 13. In terms of durability, the design and frame of the Redcat is superior to that of the Slash 4×4, as it can withstand more collisions at high speeds. One area where the Blackout SC PRO really lacks is battery power and life. It can achieve better speeds but the battery depletes a lot faster compared to other models. New tires more suited for gravel would also give it some more traction. Other than that, there’s not much this tiny RC truck can’t handle, except for a drag race on smooth terrain against an expertly tuned Slash 4×4 Short Course Truck. Although very sturdy, it’s a shame that the Redcat RC truck doesn’t have more fine tuning features similar to the Traxxas Slash 4X4. If there is something truly missing from this model is the ability to customize further. Sadly, you are limited to just changing the tires according to the terrain you will be facing. The fact that this truck was built to withstand heavy damage is what makes it more suitable for children. Unlike a model from Traxxas, you won’t start crying about the money if this little beast gets driven into a tree by your overeager kid. Last but not least, let’s take a look at the Stampede 4×4 from Traxxas, a 5.7 pound off-road conqueror. 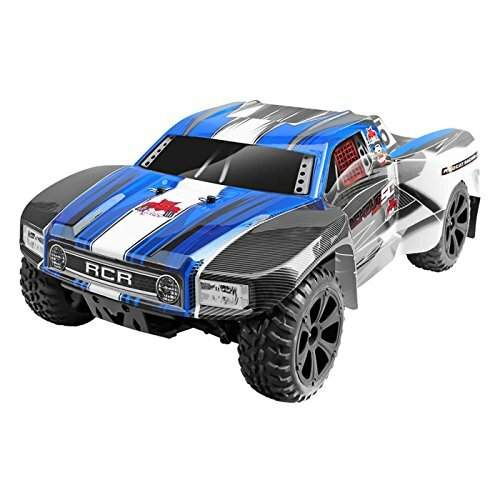 The sporty design much like the Slash’s makes this RC truck stand out through bright colors and realistic frame, across all terrains. The waterproof electronics and speed control help this machine to navigate in harsh weather conditions. While it may not be the fastest of the bunch, with a top speed of 28-30 mph straight out of the box, it is surely the most versatile of them all. The option to use the same tires across dirt, water, gravel or smooth roads while maintaining top speed, is impressive. The craftsmanship of this design is top notch when you consider the centered placement of the engine, keeping it as safe as possible during head-on or rear-end collisions. Because this truck was made for the toughest roads, the chassis was raised a bit higher so the truck could clear tall grass and ground. The NiMH battery offers a longer active runtime than the Slash and Blackout models, and it also recharges significantly faster. The TQ 2.4GHz radio system offers amazing control over the truck and is completely safe from any interference. Judging by size and frame alone, it’s no wonder why the Stampede 4X4 is the only Monster Truck on the list. 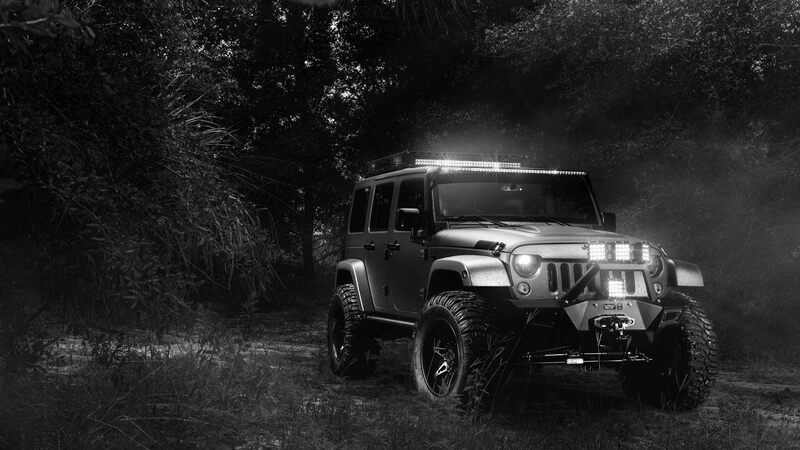 This model was built to handle just about any obstacle while still putting up impressive speed numbers. Toy trucks can go really fast nowadays, and we can only hope they will be even faster in the future. The degree to which these RC truck models can handle harsh conditions just like real life off-road vehicles is most impressive. Of course, not everything can end in a tie. 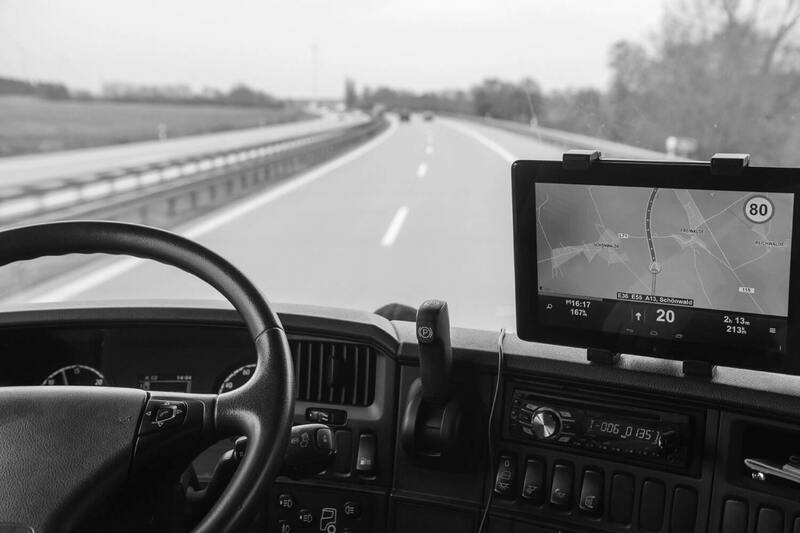 In the case of our analysis, we have decided that, although each truck comes with features that make it stand out, we can still pick an overall superior model. The Slash can probably benefit most from fine tuning and is set to break speed records in its weight bracket, but the Racing Blackout from Redcat has the most impressive durability, yet, it is not as easy to handle for kids. As far as everything else is concerned, the Traxxas Stampede 4×4 Monster Truck gets the gold medal for innovation and excellence. This amazing feat of engineering mimics everything that a real truck can do, and probably does some things better. The audio system is realistic, the waterproof features make it all-terrain, and even suitable for water racing. What’s more, the advanced power system keeps you entertained for hours on end. Whether you want it for racing, cruising, stunts or bashing into others, this is the truck that does it all, and the TQ 2.4GHz radio system will allow you to pull off impressive maneuvers all day long.